Not only is it poetic to reclaim tools for their original purpose, but man, it's just so cool. These guys specialize in saving antique tools from the dump and getting them back in working order, from an 1879 wrench to a chainsaw from the 1960's. 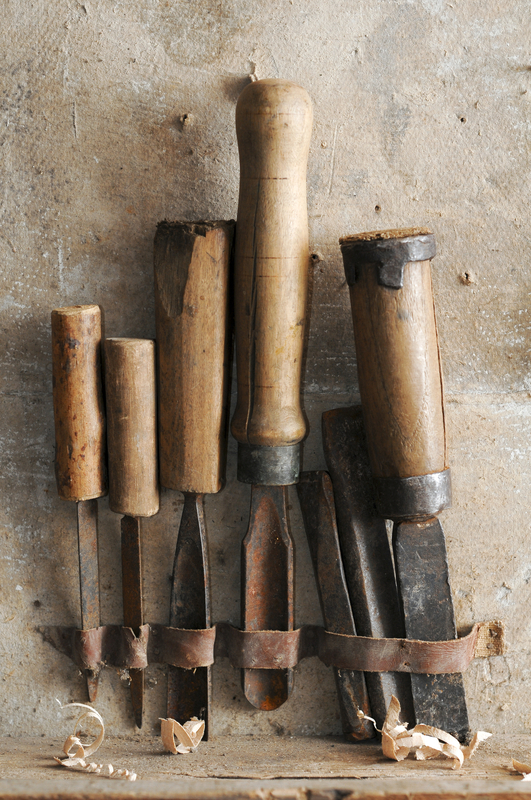 You can shop their restored tools, as they finish them, at their website. It looks like this guy is just getting started uploading restoration videos, and I already love this channel. I particularly like the paint job on this drill housing. This channel is worth checking out, if but for this butcher's cleaver restoration alone. This channel is a balance of restoration and original makes. Featured: a really satisfying axe restoration. This guy's restoration work seems to center around really heavy industrial tools. Not only is it fun to watch tools being restored, it's fun to watch anything rise up out of the junk heap. Restoration isn't relegated to stuff built prior to the 1950's! This is a really entertaining channel from a guy who restores computers, video game systems, and synthesizers from the 80's. This is a ridiculously thorough collection of typewriter repair videos. I could spend a lot of time on this jack-of-all-trade's repair & restoration channel. As the name suggests, this guy started out shooting videos of "What would happen if I...?" scenarios, but recently he seems to have switched over to producing high-quality restoration footage. This guy strips down beaten-up Hot Wheels and Matchbox cars and builds them back up. This guy has a really extensive feed of restoring Mini Coopers. What are your favorite restoration channels, tools or otherwise? Let us know in the comments below! Thanks Pat, AJ, and James! We're totally checking these out right...now! Great post, I subscribe to 3 of the 5 listed main and 1 of the remaining already and will check out the others. Agree with AJ, Scoutcrafter is a fantastic channel, mostly small hand tools but some other great videos as well. Too bad you have to get spam comments like the one from amr trying to sell stuff. You should check out Scoutcrafter's channel too. Tons of videos, beautiful restorations and history. I'm a big fan of Jimmy Diresta. He's a maker with a love for old machinery. Check out some of his restoration videos on a printing press and band saw.